Hospital Apparels | Wholesale Gowns | Sheets | HY Supplies Inc.
Hospital Apparels like Patient Gowns and knitted Fitted Sheets in a different variety of styles and sizes as low as from $25.07 direct from the manufacturer for your Hospital. Economy patient gowns are straight back with the white or blue background. These are made of the most durable blend of cotton and polyester, with 53" sweep, Stock Subject to Availability, Shipping Varies Based on your location. 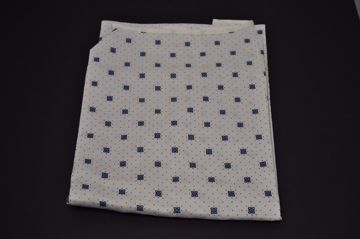 A twill patient gown with an angle back, and white background with blue squares. An IV Gown with snaps and telemetry pocket, made out of heavy twill, in the green abstract design, Stock Subject to Availability, Shipping Varies Based on your location. 3 Colors, Knitted Fitted sheets are made of a comfortable yet durable blend of 55% cotton and 45% polyester. We offer them in a few weights and designs to meet your needs, Stock Subject to Availability, Shipping Varies Based on your location. 3 Colors, Popcorn weave are made of a comfortable yet durable blend of 55% cotton and 45% polyester.